ALECares is back working with the Tim Tebow Foundation’s W15H program, which fulfills the dreams of children with life-threatening illnesses who dream of meeting Tim Tebow. Each year, the Tim Tebow Foundation creates more than 20 official W15H experiences to take a deserving child and their family away from the routine of doctors’ appointments and provide them with a weekend getaway of activities, gifts, and one-on-one time with Tim. W15H experiences have taken place at many venues including NFL football games, Award Shows, Disney Word, SEC Nation and more! Many customized activities are planed for each child but of course the highlight is the one-on-one time spent with Tim. ALECares has helped to support the W15H program by donating hotel accommodations for the W15H child and their family to help fulfill their W15H and bring them a BRIGHTER day in their darkest time of need. ALECares was HONORED to work with the W15H program and provide hotel accommodations for 15-year-old Ansley Jones (and her family), a leukemia survivor from Georgia. In the fall of 2013, Ansley was diagnosed with acute myeloid leukemia. She is now in remission, healthy and strong, after battling the illness with intense treatments for a year of her young life. We are thankful to have helped in making Ansley’s W15H come true and are DEEPLY INSPIRED by her focus and positive outlook with each new day. 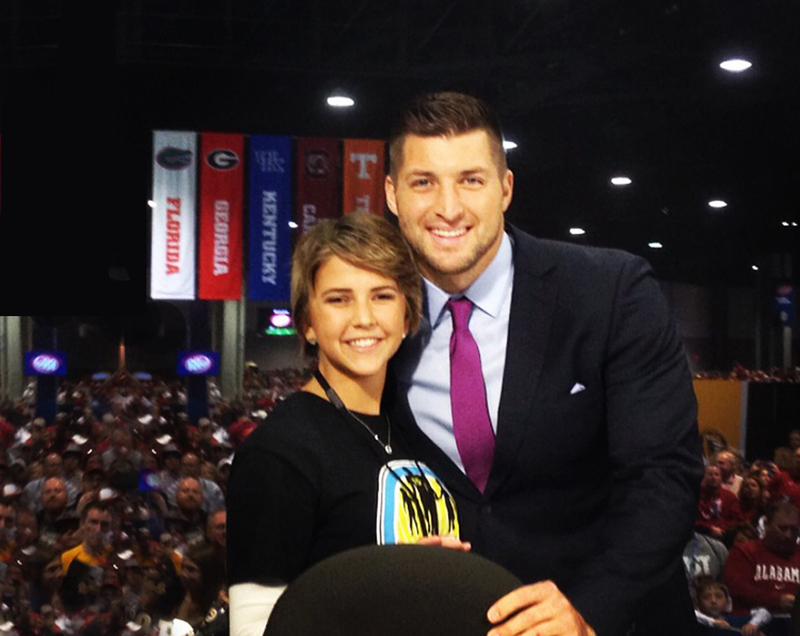 Learn more about Ansley and her W15H experience at http://www.timtebowfoundation.org/index.php/w15h/. The W15H program has granted over 50 official W15H experiences to children who are battling life-threatening illnesses. Each W15H child receives a custom experience and in addition, a unique W15H gift package containing exclusive W15H luggage, official W15H t-shirts, a Nike duffle bag, a copy of Tim’s book Through My Eyes, Florida Gators: 2008 National Championship book, a personalized Bible and more. A portion of every temporary housing placement ALE Solutions fulfills goes toward ALECares, allowing us to give back with every event.